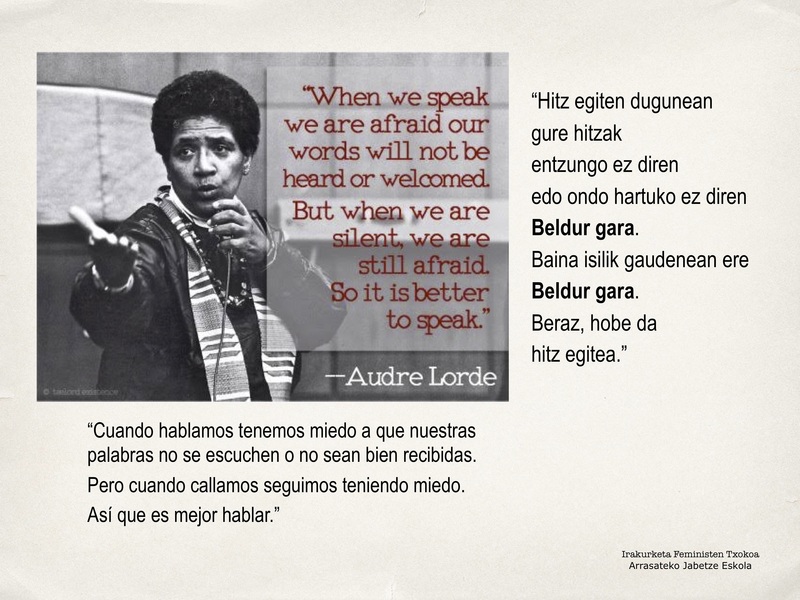 Audre Lorde is traveling the world with our film! 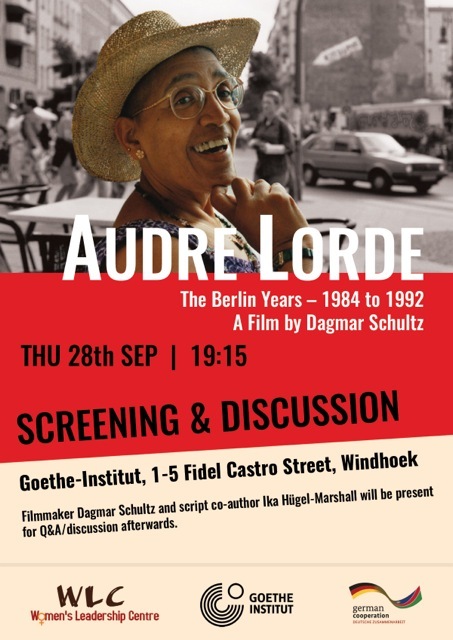 In our last newsletter we reported on the extensive screenings in Mexico, on screenings with simultaneous Arabic translation in Berlin and on screenings in France and the US: http://www.audrelorde-theberlinyears.com/emails/2017_Aug.html. Today we want to give you a review of exciting screenings in South Africa, Namibia, Colombia, the Basque country in Spain, Austria and Italy—not to forget the regular screenings each third Monday at Lichtblick Kino, in Berlin. Screenings were usually combined with workshops and discussions. 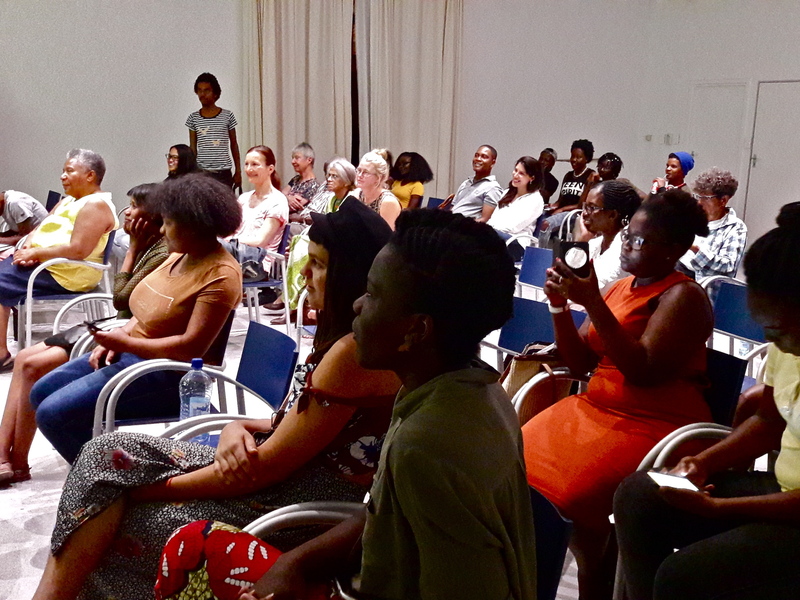 Take a look at the videos of poetry performances in Windhoek and in Bogota! Cape Town. 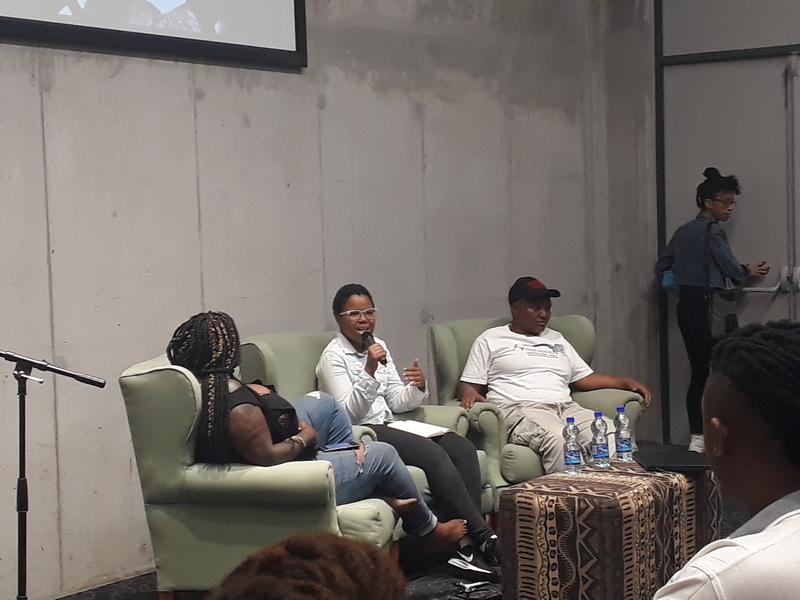 In September we had a lively discussion with students, faculty and community people after the screening of the film at the African Gender Institute of Cape Town University. Lameez Lalkhen, administrator at the University of the Western Cape, organized a screening for faculty, friends and students at professor Jane Taylor’s house in coastal Simons Town. University of the Witwatersrand. 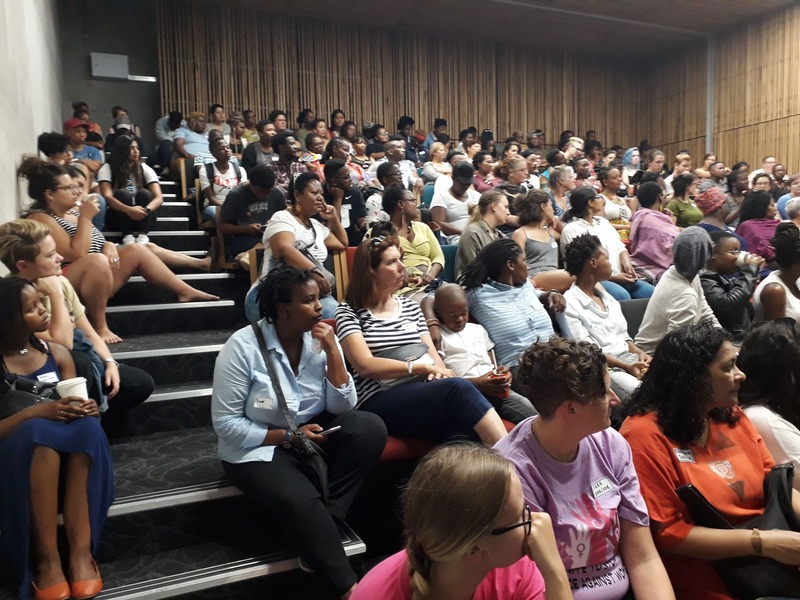 While we were in Cape Town, the film was also shown at the University of the Witwatersrand in Johannesburg. Here an excerpt of the report by Vu Michelle Horwitz teaching a third year Fine Art course titled Reading the Contemporary: Strategies for Survival. The full version you find under film comments on the website. “…the screening on Sept. 20 was a roaring success! ...There were cheers and cries throughout the screening, and almost each student had a question or comment for afterwards.…these are third year Fine Art students who have never before been introduced to nor grappled with queer or radical theories in an academic context. 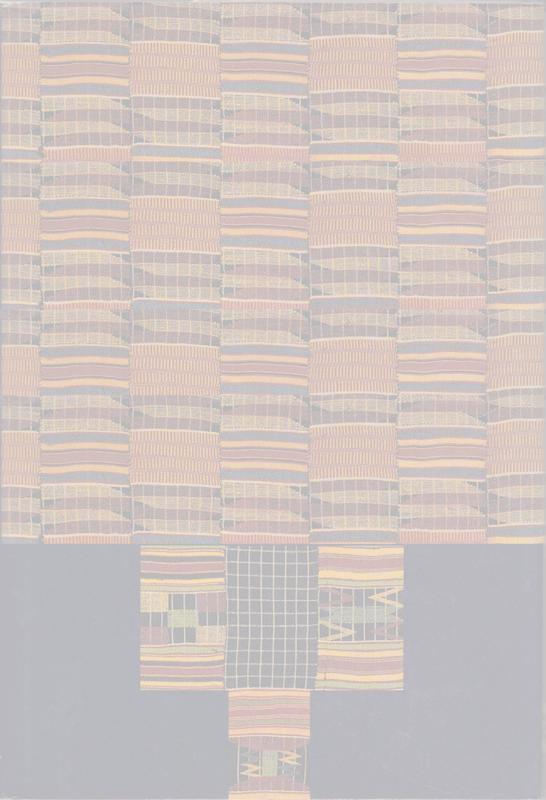 This course is their first gateway to the kinds of ideas and ways of thinking both Audre, and films like yours, exemplify. “The evening was a full success! The hall was so full that we had to add extra chairs – 90 seats all together! The ensuing discussion was very engaging, and about 60 persons were present for that. 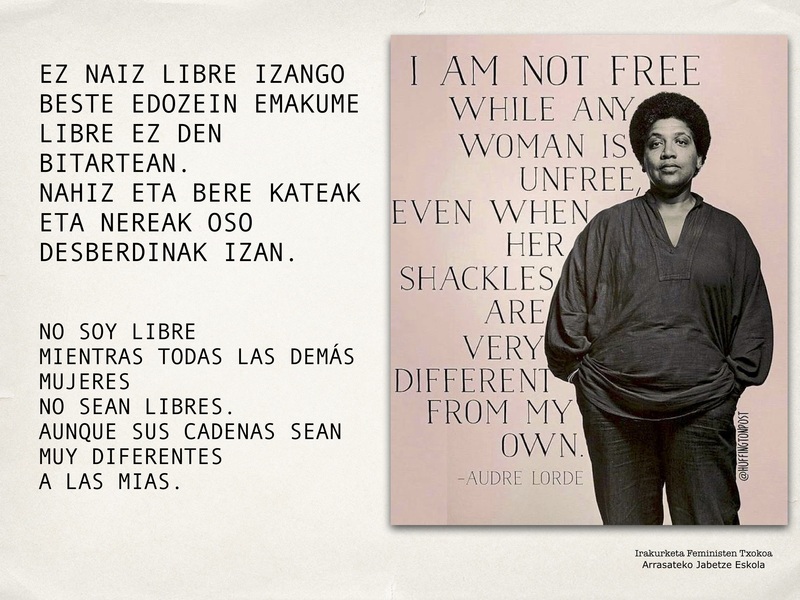 La Comadre (La coordinación de Mujeres Afrocolombianas Desplazadas en Resistencia): A division of AFRODES dedicated to the work of Black Women Resistance. CONPA (Consejo Nacional de Paz Afrocolombiano): An initiative to organize and collect the proposals of Afrocolombian populations regarding the peace agreement, which was signed by president Santos in 2016. Pamela Sneed joined us from New York, sharing her poetry via Skype as an introduction to the film. She read poems from her upcoming book Sweet Dreams with Belladonna Press (see excerpt in video). Also joined us, Mara Viveros Vigoya, head of the first Gender Studies department in Colombia at the National University. Mara is an Afrocolombian writer and professor, she presented her book Les coleurs de la masculinité. Expériences intersectionnelles et pratiques de pouvoir en Amérique latine at the IEC; Institut Emile du Châtelet. Khayelitsha. 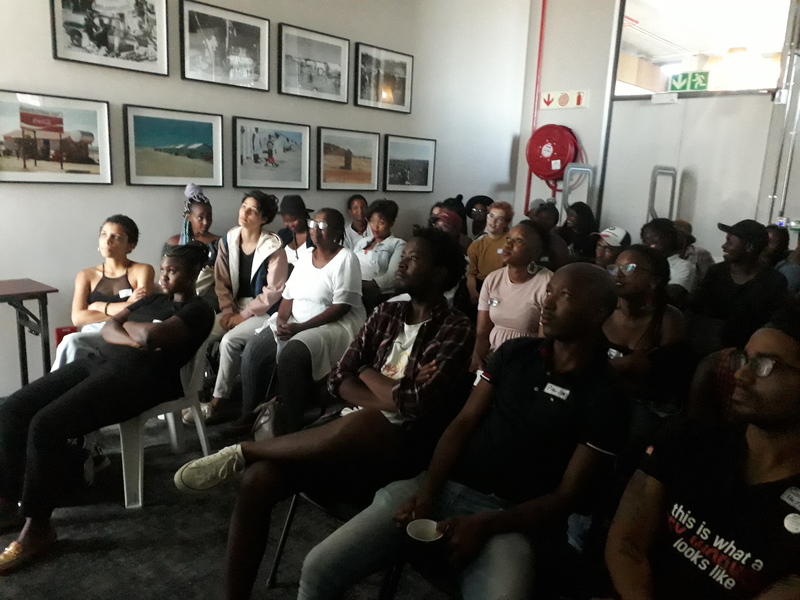 To our great joy, the film’s activities have continued in South Africa: on January 19 of this year the film had its 71st festival at the First Queer Film Festival in Khayelitsha, Cape Town’s largest township! “Folks were very excited to see Berlin Years and the debriefing session after was amazing. 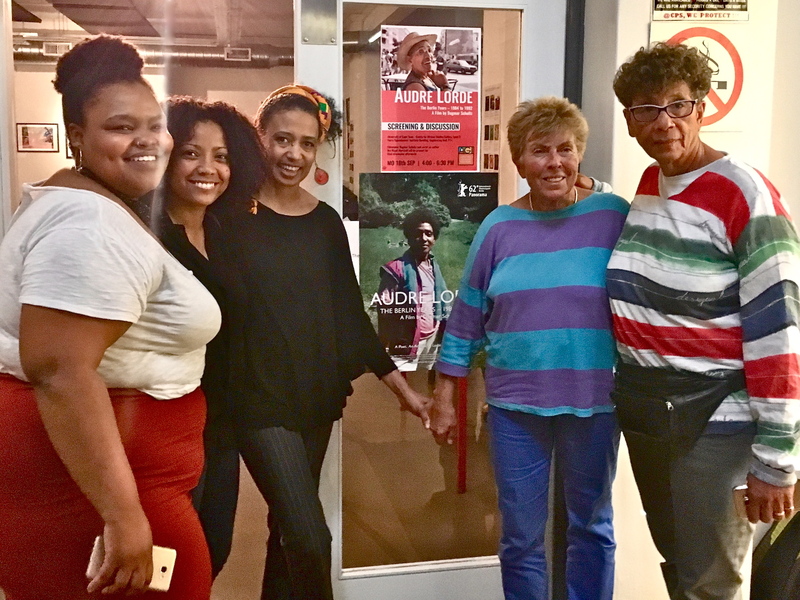 Folks shared their experiences of Audre's work and what the documentary means to them as organizers and activists. 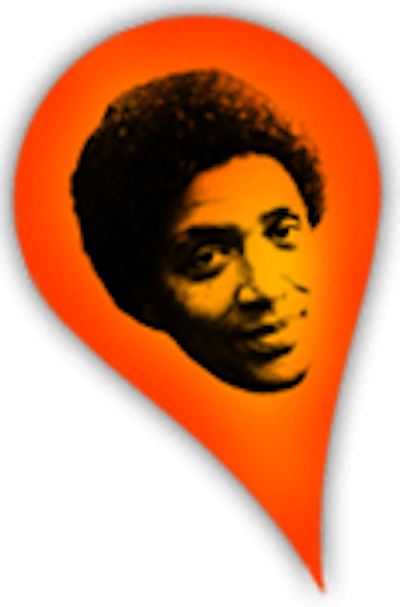 In these ways the film keeps contributing to Audre’s work as a source for resistance and resilience!